Today is #GivingTuesday and ThanksUSA has joined with thousands of non-profits around the country to celebrate this national movement dedicated to celebrating giving and volunteering. Together we can support the men and women of the U.S. military by providing their families with the gift of a college scholarship. 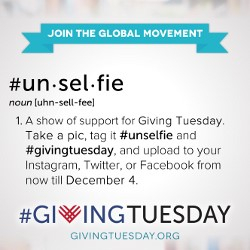 Share your #unselfie on social media – Take a pic, tag it #unselfie #givingtuesday and #ThanksUSA and upload it to your social networks. Help us give a gift that will last well beyond the holiday season. November 26, 2013, Washington, DC – ThanksUSA and their partner the Entertainment Software Association (ESA) Foundation today announced the launch of the ninth annual ThanksUSA Treasure Hunt (TH9), a free, fully interactive digital trivia and puzzle game about U.S. history, culture and values. The hunt supports ThanksUSA’s annual scholarship fund to benefit the children and spouses of active-duty military personnel by providing need-based scholarships for two-year or four-year colleges, vocational or technical schools. The focus of this year’s hunt will be the United States Bill of Rights. The digital trivia game will be assessable starting Thanksgiving Day, November 28. Participants will be quizzed on the Bill of Rights’ history, purpose and implications on American life. It is the first of six Treasure Hunt chapters available for free online (www.thanksusa.org) and via mobile application. The ESA Foundation has underwritten the annual Treasure Hunt series for five years and also funds 25 “ESA Foundation/ThanksUSA Scholarships” annually. Since its inception in 2005, more than 12,000 Americans have engaged in ThanksUSA treasure hunts that reflect the nation’s history, values and culture while raising awareness and funds for the educational pursuits of military families. Following the official launch of Treasure Hunt Nine on November 28, subsequent chapters will be introduced on the first of each month beginning January 1, 2014. The six-month Bill of Rights challenge will close on May 31, 2014, and will be followed by a summer bonus round slated for July 4 – August 15, 2014. Four players who correctly answer each chapter’s questions will each receive a $250 Walmart gift certificate. A grand prize – a $500 Walmart gift card – will be drawn from the pool of individuals who correctly answer all questions in each round. 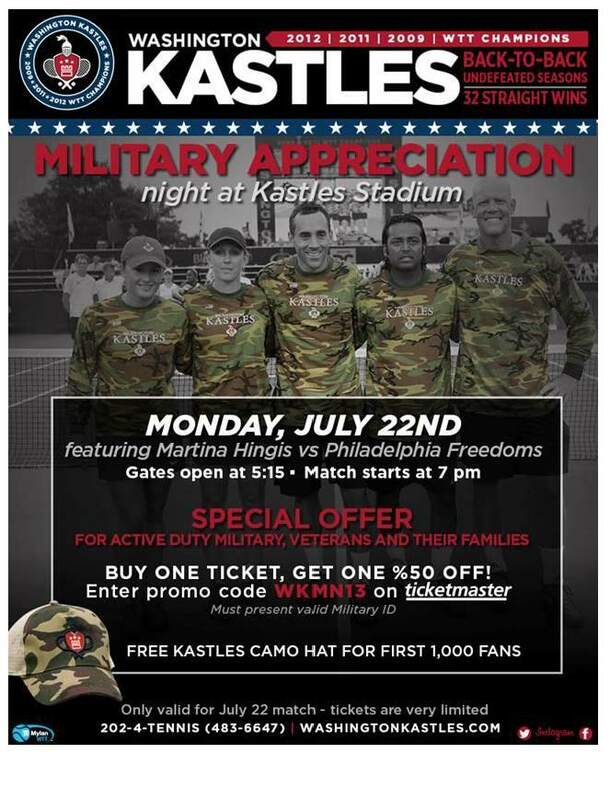 The Treasure Hunt series serves to generate attention and donations for ThanksUSA’s annual scholarship fund. Since 2006, ThanksUSA award over 3,000 need-based scholarships valued at nearly $10 million to families representing all branches of the armed services across all 50 states and the District of Columbia. Founded in the fall of 2005, ThanksUSA, a non-partisan 501(c) (3) organization, is an effort to thank the men and women of our armed forces and their families for their service to the country with the gift of education. The organization provides need-based, post-secondary education opportunities to the children and spouses of active-duty status military personnel through competitive scholarships. For more information, please visit www.ThanksUSA.org. McLean, Va. – After finishing a spectacular year on the hardwood, NBA superstar Stephen Curry will once again raise funds and awareness for ThanksUSA, a national non-profit that provides need-based scholarships to the children and spouses of active-duty military personnel. 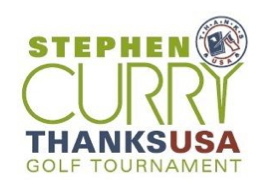 Serving as the charity’s national spokesperson since 2010, Curry will host the third annual Stephen Curry ThanksUSA Golf Tournament on September 23, 2013, in San Francisco at the Presido Golf Course. 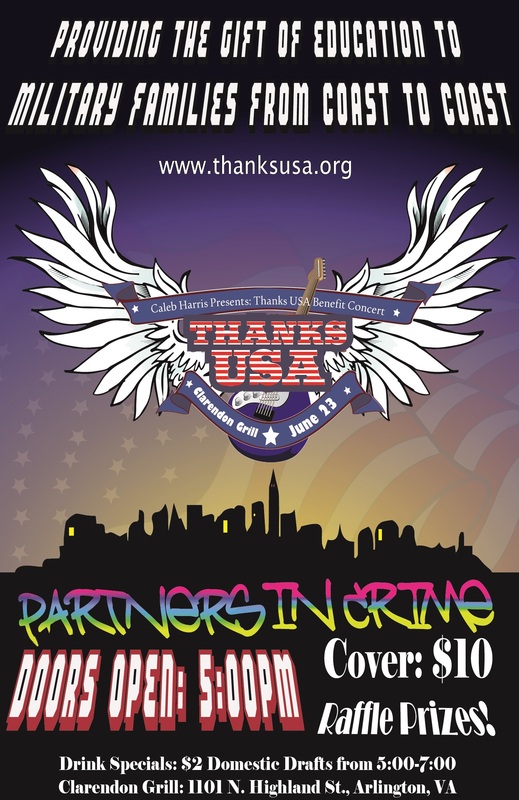 New to the event in 2013, ThanksUSA and Curry are pleased to welcome The Ron Conway Family as a major sponsor for this year’s golf tournament. The 25-year-old gained national fame this season as he propelled the Golden State Warriors through the early rounds of the NBA playoffs and set a NBA single-season record with 272 three-pointers. “After a memorable season for myself and my teammates, I hope to inspire that same kind of dedication and teamwork through ThanksUSA to help our military families reach their potential, too,” said Curry. 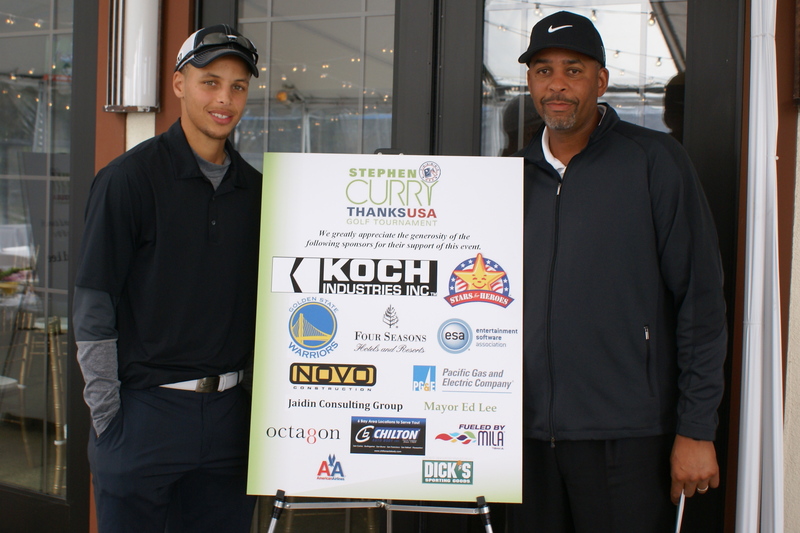 The Stephen Curry ThanksUSA Golf Tournament will bring together Mayor Ed Lee, Curry’s father and former NBA standout, Dell Curry, and several of Curry’s Golden State Warriors teammates, as well as other sports and entertainment VIPs, members of the military, local community leaders and corporate representatives at the Presidio Golf Club, 300 Finley Road, San Francisco, Calif.
For more information about sponsorship or participation, please contact ThanksUSA Executive Director Michele Stork at (703) 855-4108 or MicheleStork@ThanksUSA.org. For media inquiries, please contact Alyssa Romano at alyssa.romano@octagon.com. Founded in the fall of 2005, ThanksUSA, a non-partisan 501(c) (3) organization, is an effort to thank the men and women of our armed forces and their families for their service to the country with the gift of education. 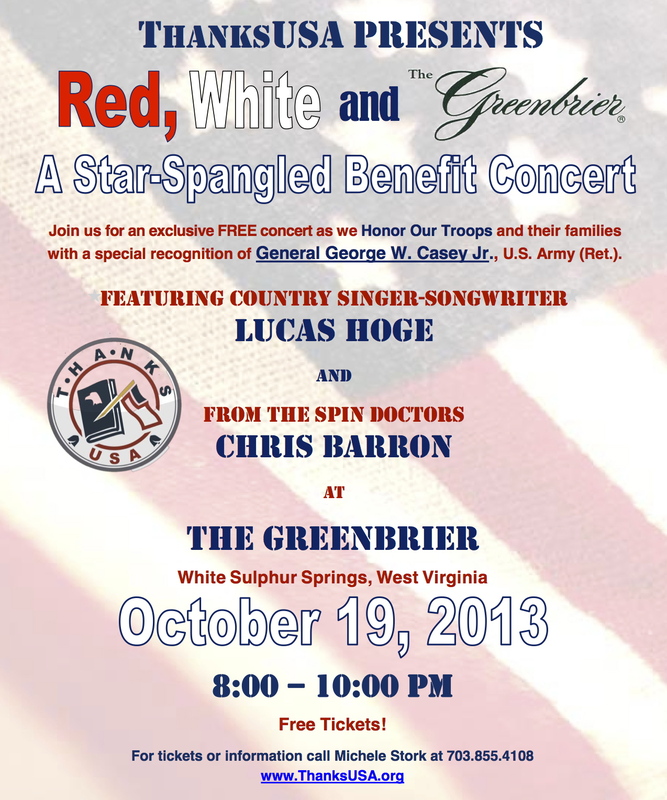 The organization provides need-based, post-secondary education opportunities to the children and spouses of active-duty status military personnel through need-based scholarships. For more information, visit www.ThanksUSA.org.